A Pied Flycatcher on the Power Station fence and 43 Yellow Wagtails and a Tree Pipit over the area were about the best on offer on the land whilst two Arctic Skuas were lingering offshore and a Manx Shearwater flew west. Elsewhere, a Stone-curlew was showing well in Hayfield 3 on the RSPB Reserve and at least two Great White Egrets were present. 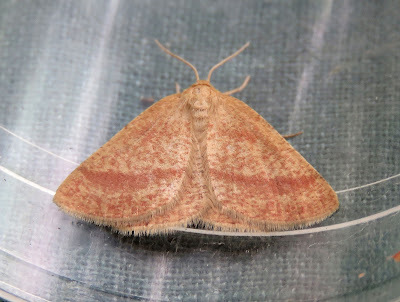 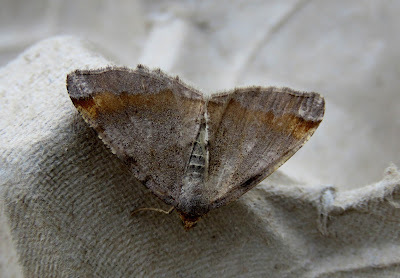 Despite very low numbers of moths in the traps overnight there were a couple of rarer species in the form of a Rest Harrow (only the fourth to be caught at the Observatory) and two Tawny-barred Angles (the 9th and 10th Observatory records).